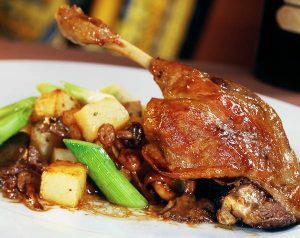 Confit-style slow-braised cut of duck leg which is vacuum packed in ambient-stable foil. 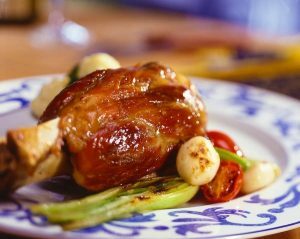 Confit-style slow-braised cut of lamb leg which is vacuum packed in ambient-stable foil. Confit-style slow-braised cut of pork leg which is vacuum packed in ambient-stable foil.